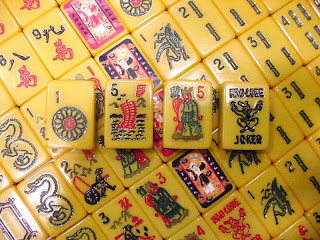 I am really enjoying playing Mahjong, so I'm planning to use Mahjong artwork in my next rug. On Yahoo Rughookers we are having a hex sign swap. Most of the designs will come from Pennsylvania Dutch barn signs, but I am planning to use a Mahjong symbol. There are three suits in Mahjong, similar to bridge card suits. The suits are called by various names, our group uses Sticks, Cakes and Wans for the suits that look like bamboo, dots, and Chinese written characters. Each suit goes from one to nine. The one cake is my favorite tile. It varies in different sets, but it is always round and geometrical - like the barn signs. I found another similarity, the one stick, which usually looks like a bird resting on a bamboo branch, looks very much like the bird often used in the hex signs - so, I have two choices for Mahjong/hex signs. 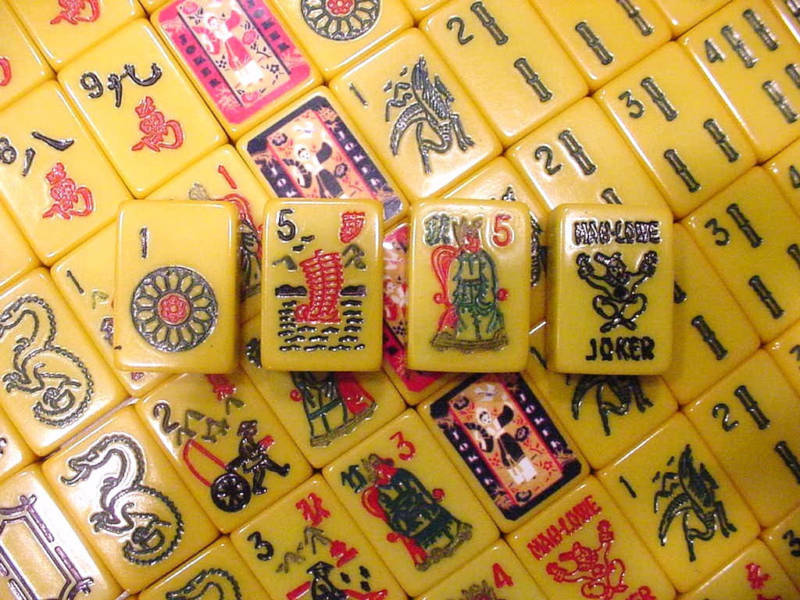 I just have to decide which version of the mahjong tiles I want to use as my source. Nice blog and cool post.